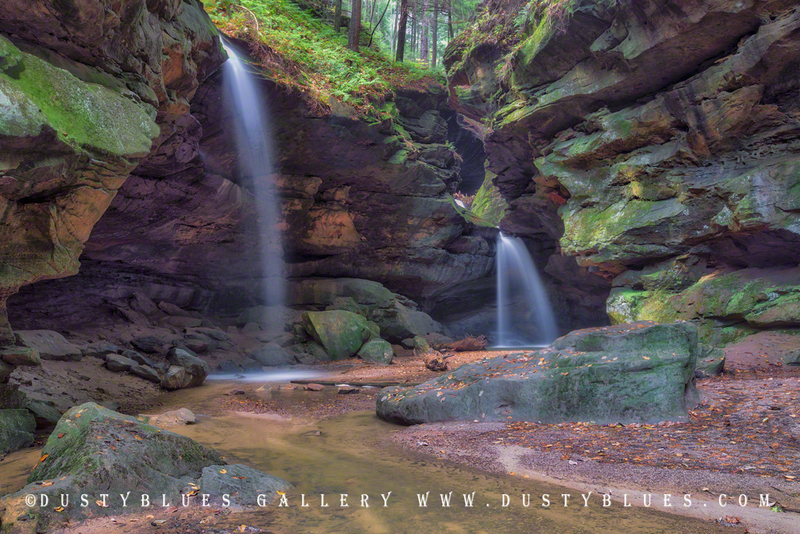 An easy stroll allowed us to gather in this visual expression of nature's wonder here in the Hocking Hills. This is one of the easier hikes in the area. A mostly flat paved path meanders down the middle of Conkle's Hollow amid towering Black Hand sandstone walls above. The box canyon at the back of the hollow has this fine display of dual falls after a steady rain the previous day.